So overall sales in the comic book industry is down in 2017 by 6.3%. Sales have cooled off from 2016 (which had giant-sized hits like Civil War II and DC Rebirth) and even DC thinks that the comic book industry is in danger of collapsing. Clearly, both Marvel and DC need something to boost sales in 2017, something that doesn’t rely on gimmicks or giant crossover events. So I think the best option would be to do a giant crossover event that relies on a gimmick. But this would be the best gimmick: crossovers between Marvel and DC. They haven’t done one since 2004 and the end of JLA/Avengers. That means both Marvel and DC are in radically different places then when their universes last met. So a crossover between the two universes wouldn’t just result in hits — it would result in megahits. 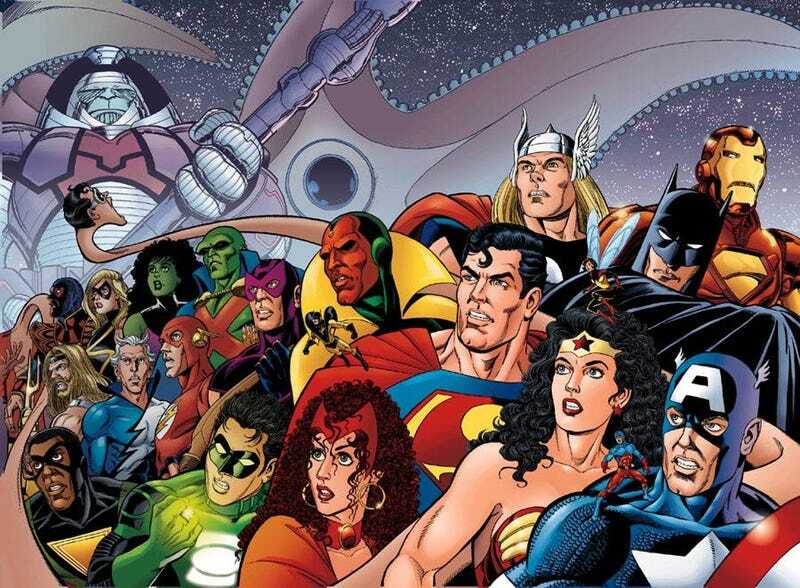 My idea: the main crossover would be an eight-issue mini-series called Justice League/Avengers or Avengers/Justice League to be co-written by Al Ewing and Steve Orlando, both great writers who know and love using continuity. After four issues of the crossover, however, there would be a three-month break in order for the artist to finish drawing/inking/coloring everything (as you do) and during those three months, well, remember how everyone loved the DC-Hanna Barbera crossovers? Do the same, but with DC and Marvel characters — and they would take place in a world where Marvel and DC characters live side-by-side. And then, after those one-shots, would come the remaining four issues of Avengers/Justice League or Justice League/Avengers. Tell me that each issue wouldn’t be a supermegahit. Just tell me. They would never do it, but they totally should.